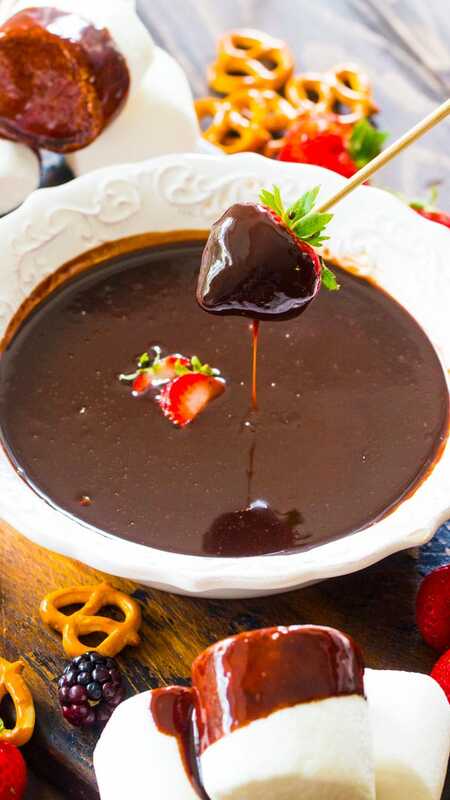 Slow Cooker Chocolate Fondue is rich, smooth and luxurious. 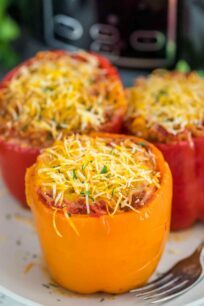 Easy to make in the slow cooker and serve with your favorite dippers. Slow Cooker Chocolate Fondue is one of the easiest desserts you can make to feed a crowd. Actually, forget about the crowd, just fix some for yourself and indulge into all its glory. But, to keep it real, this is one of my favorite desserts and I love how easy it is to make. 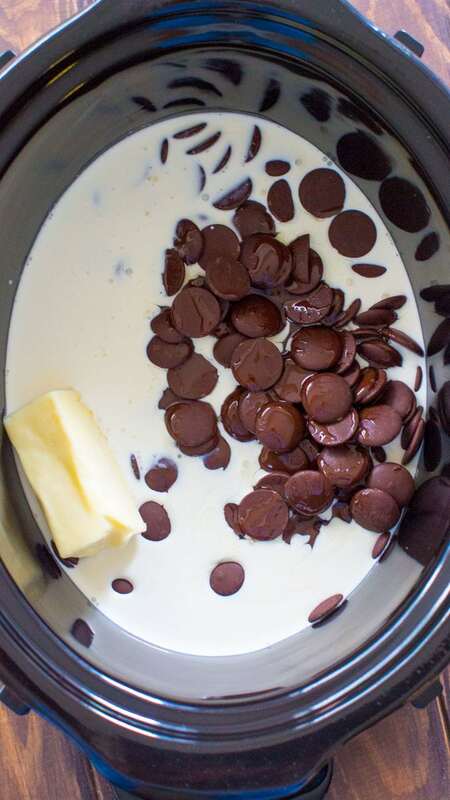 For Slow Cooker Chocolate Fondue you just add all your ingredients to the slow cooker and serve it when ready. 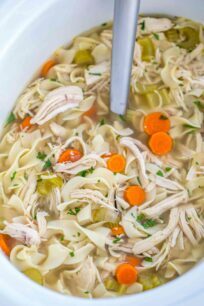 It is simple to make, just add the ingredients to the slow cooker and enjoy it! Can be enjoyed with variety of drippings. A hit with both kids and adults. I like to serve an assortment of fresh fruit on the side: sliced bananas, strawberries, cantaloupe, mixed berries kiwis and pineapple. Marshmallows are a must for me. I also like to have a bowl of graham crumbs on the side, so people can roll them into the crumbs after dipping into the chocolate. Salted pretzels and dried fruits like apricots and prunes are a great addition too. Cheese!! I love some cheese on the side, just because sometimes you need a break from the chocolate, and what better way to take it, if not by snacking on some cheese! Pastries: I like to cut cubes of vanilla, lemon and chocolate pound cake on the side. Also, mini cheesecake cubes and some pastries, like croissants and palmiers are great for some chocolate dipping action. Cookies – add some sandwich cookies, shortbread or biscotti, they are great dippers. How to make a Slow Cooker Chocolate Fondue? Add all of the ingredients to the slow cooker and gently stir. 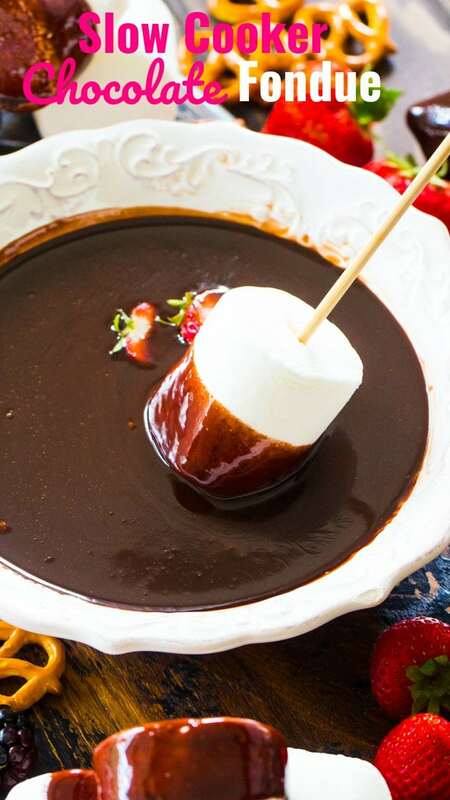 The fondue is ready when chocolate is fully melted, smooth and shiny after stirring. Turn slow cooker to warm and serve with favorite dippers. What chocolate is best for Fondue? You can use any chocolate you prefer. 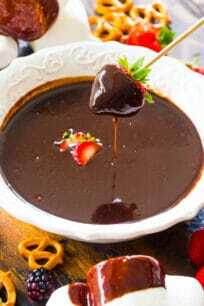 However, milk or dark chocolate is commonly used for chocolate fondue. How fun! I love how easy this is too! I think I’ll have my boys pick a few items they want to dip to get them involved! My family would go crazy for this fondue! I’m always in the mood for a chocolate fondue!! I am all about chocolate fondue…what a fun experience to work with such delicious French products. I just love Chocolate Fondue! We use to go to a fondue place down in Wilmington when we lived down there and I just LOVED it! 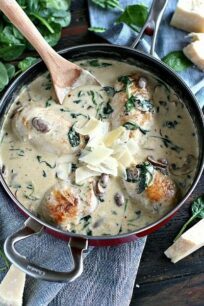 Can’t wait to make this at home. How many people will this serve? I have 25 people attending. You will have to double it.